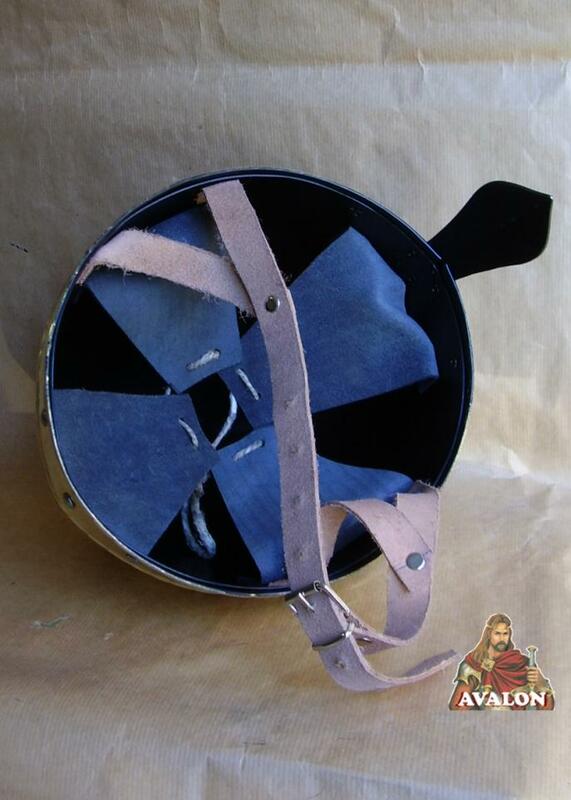 This is a fully battle-ready replica of a historical spangenhelm - nasal helmet. battle-ready. 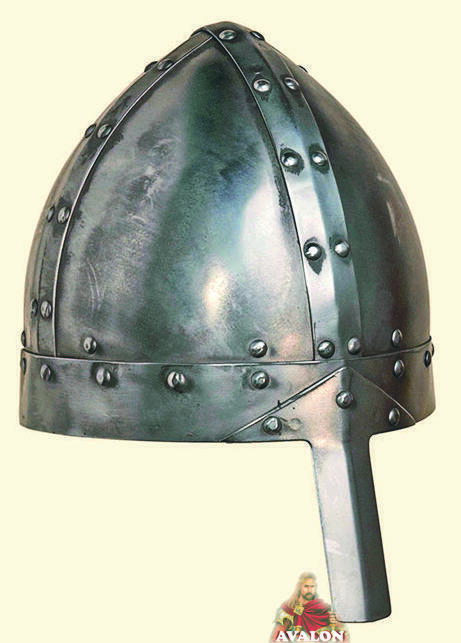 The metal strips that form the framework of the helm (Spangen) are riveted to the helmet. The fine workmanship and overlapping construction insures high robustness and therefore best possible protection during battle reenactment. Delivery includes high-quality, adjustable padded liner with chin strap and authentic brass buckle.